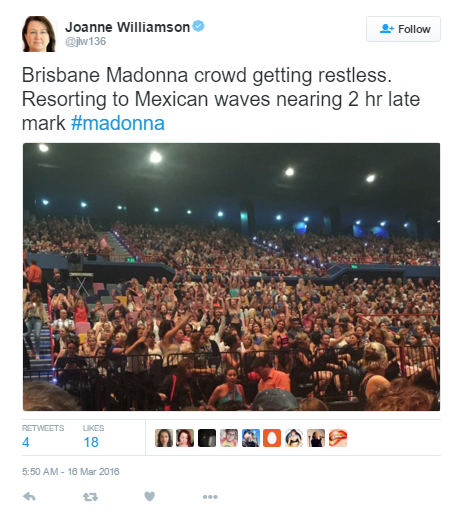 Madonna has angered fans in Brisbane after she left them waiting for two hours before finally appearing on stage. 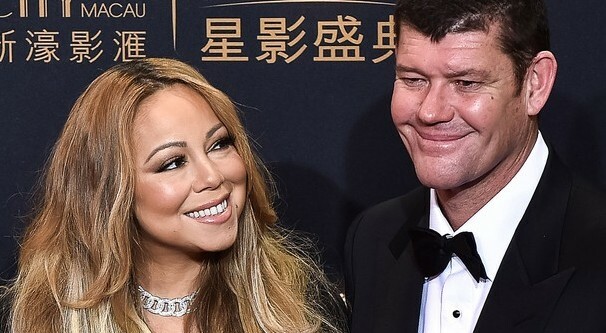 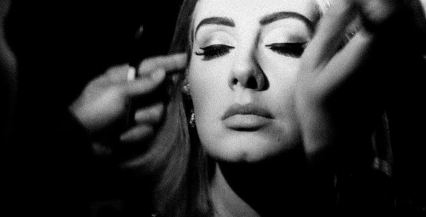 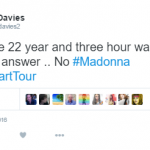 The 57-year-old pop star was scheduled to take the stage at 21:00, but only appeared at 23:22. 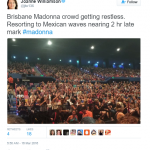 The show then went on well after the last train had left the Brisbane Entertainment Center on Thursday morning. 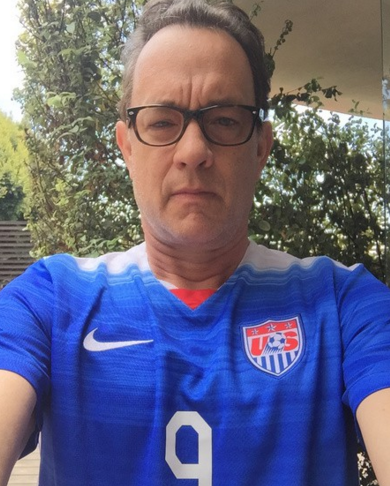 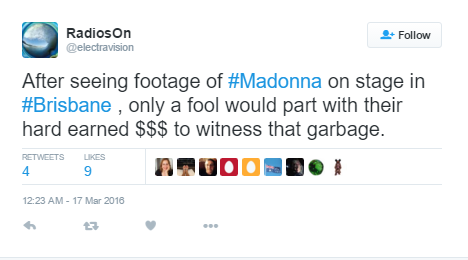 Angry fans were on hand to live tweet their disgust. 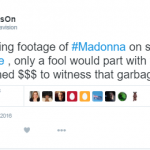 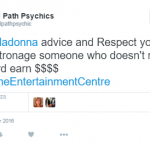 “After seeing footage of #Madonna on stage in #Brisbane , only a fool would part with their hard earned $$$ to witness that garbage,” RadiosOn tweeted. 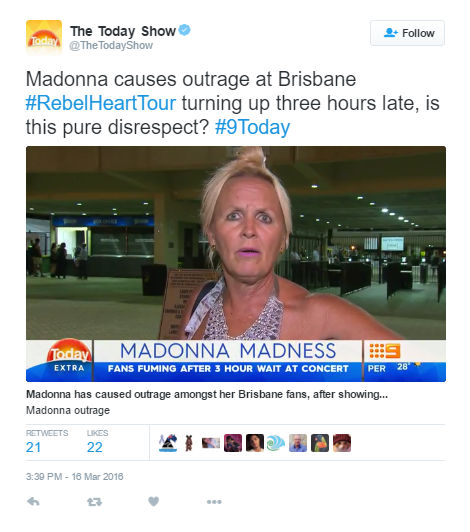 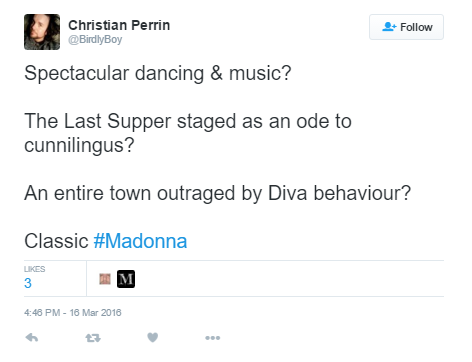 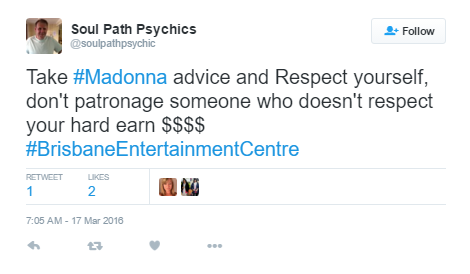 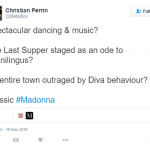 “Madonna causes outrage at Brisbane #RebelHeartTour turning up three hours late, is this pure disrespect? 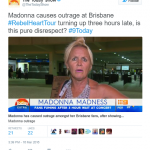 #9Today” The Today Show tweeted along with a video showing disappointing fans as they exited the venue. 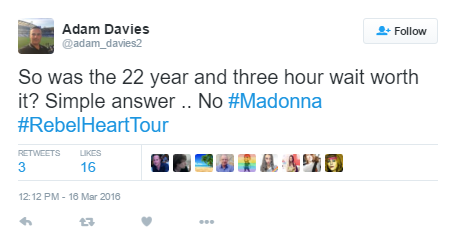 Madonna will play another show at the venue on Thursday night before travelling to Sydney. 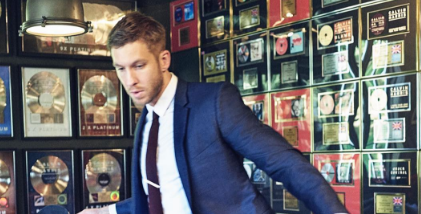 Calvin Harris secretly dating Jennifer Lopez?